Midtown Tour - Information Desk! 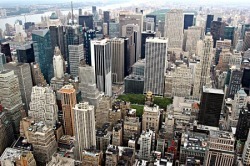 The soaring skyscrapers of Midtown Manhattan make up a large portion of New York's iconic skyline. Explore the dense city streets between these buildings, including: Rockefeller Center, Times Square, Grand Central Station, Lincoln Center and much more.